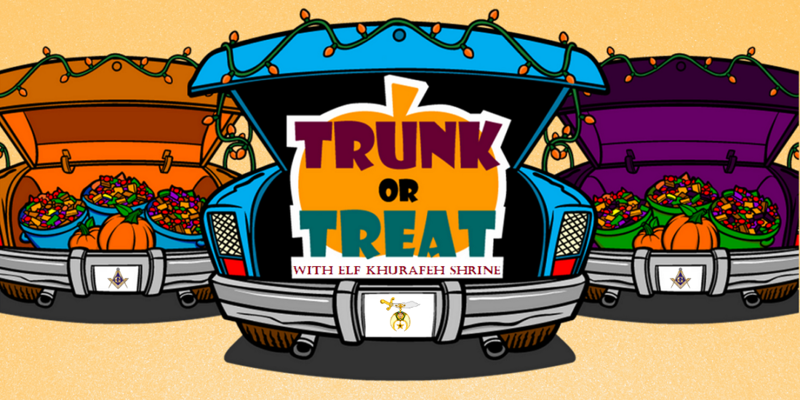 Elf Khurafeh Shrine "Trunk or Treat"
Join Illustrious Sir Ryan Stanley and his Lady Tammy for a fun-filled afternoon at Shriners Hall in Saginaw! Sunday, October 27th from 12:00 noon to 2:00 pm. ​Get your best Halloween costume ready and Trick or Treat with the Shriners! Bookmark this page and come back frequently to learn more details!